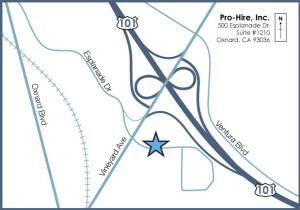 PRO-HIRE, INC. is a locally owned and operated full service staffing company that combines honesty, integrity, innovation and personal service to candidates and client companies throughout Santa Barbara and Ventura Counties. PRO-HIRE offers a variety of staffing strategies that give our clients an edge in a constantly changing business environment. We provide skilled and experienced professionals in all kinds of disciplines, including manufacturing, industrial, clerical, accounting, technical and professional services. Our applicant base includes employees who have made conscious decisions to work temporary, part-time or contract, along with individuals who may or may not be working currently, but have chosen us to secure rewarding full-time direct positions. Our client companies are only those with the best reputations. Our candidates are solid, well qualified individuals. We match candidates to companies. It is our belief that this can only be accomplished by dedicating ourselves to outstanding quality of service and integrity to our clients, applicants and employees. We are committed to excellence, teamwork and to going one step beyond the expectations of those with whom we work. The internal staff at PRO-HIRE offers a combined 40 years of experience in business development, recruitment, and placement in the staffing industry. We are active members of the American Staffing Association (ASA) and our owner has been trained and accredited as a Certified Staffing Professional (CSP) and is Technical Services Certified (TSC) through the ASA. To obtain these certifications, there is a comprehensive training program and educational review of the complex employment laws and regulations that affect the staffing industry and our client companies in California. 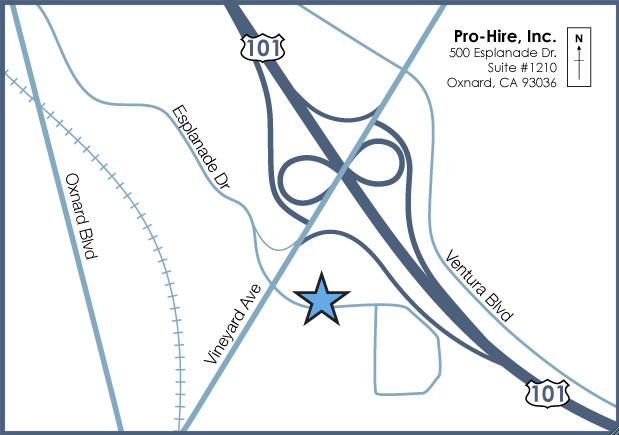 PRO-HIRE is also an active member of our local Employer Advisory Committee (EAC) and of the Ventura County Chapter of the National Human Resources Association (NHRA). We are locally owned and operated here in Ventura County and we are proud to service our long time clients throughout Ventura and Santa Barbara counties. © Copyright 2013 TECHSTAFF Inc.